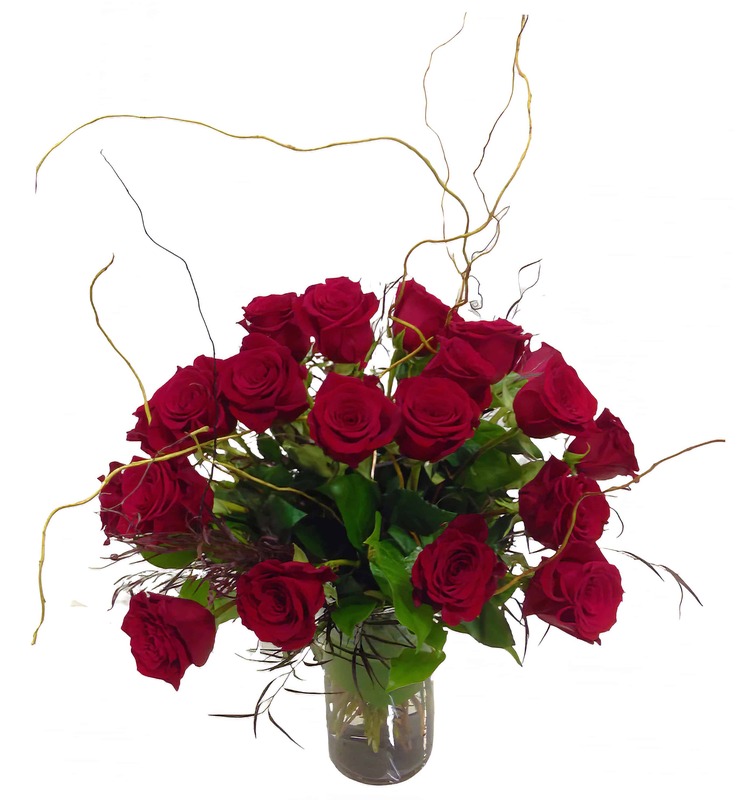 A Beautiful display of 24 imported Red Roses from Ecuador paired with agonis and curly willow in a clear cylinder vase with rocks and a green ti leaf. Sure to whoo any heart! You may also order this in the white glass vase with red ribbon per the options to the right. Approximately 18" tall and 12" wide.